Hey all craft Cebuanos, bring your kids this weekend on a day filled with workshop that will surely enjoyed by your kids. 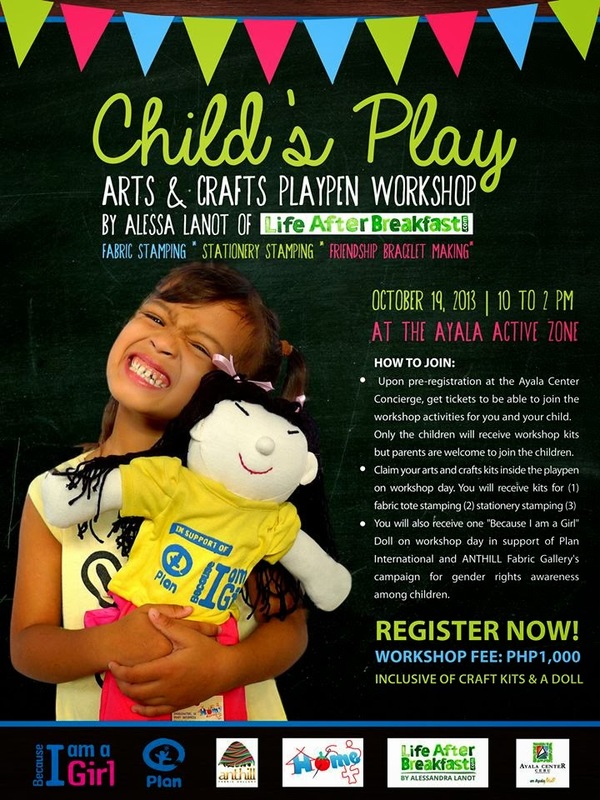 Life After Breakfast blog and ANTHILL Fabric Gallery will be having a workshop in Ayala Center Cebu's Active Zone for kids. Workshop fee is P1,00 and that will include craft kits and a doll already. Activities will include: Fabric stamping, stationery stamping, friendship bracelet making where DMC threads will be used as well.